“Picky eater.” This is how Emma has described herself and gave me permission to quote. Food and eating in relationship to my daughter are topics I have (in the last year and a half) avoided on this blog for a variety of reasons, but the biggest being, because I spent twenty-two years of my life in the throes of an eating disorder documented ‘here‘ and ‘here‘ and so have very conflicted opinions about all of this. I have no problem discussing my own issues regarding food, but I don’t have that leeway when talking about my daughter’s relationship to food. It’s not my story to tell, it’s hers. So this post will not be about her interactions with food as much as it will concentrate on my own as the parent of a “picky eater.” Despite my better instincts, I became way too involved in my daughter’s food, what she ate, what she didn’t. I made the mistake of believing there was a link between her inability to speak and what she was or wasn’t eating and that concern overrode my gut feeling that I needed to stay out of it… twice. As a result, this happened. The first time I “managed” her food intake was when she was just two years old, despite all the medical tests showing she had no intolerances or allergies to anything. The second time was far worse and more traumatic and it was because of those six weeks, when she stopped eating, lost a tremendous amount of weight, that I realized I had to stop trying to control what she did or didn’t eat. Please remember I am writing this from the perspective of someone who has huge personal issues with food. This is important. I have heard from a number of people who have found from various tests done by their doctors or through their own experimentation that they feel better if they stay away from particular foods, others have been diagnosed as celiac or have specific food intolerances and allergies that when avoided has changed their lives significantly. This is true for all people and not just a specific neurology, though it may prove to be more prevalent in Autistic neurology, or it may be that Autistic neurology makes some experience the discomfort they feel more intensely. Either way, it is absolutely a fact that some people are allergic or have an intolerance to some foods. When I first put my daughter on a gluten-free/ casein free diet I was filled with trepidation because of my history as both bulimic and anorexic. I worried about the unforeseen consequences of controlling her food choices, particularly as my eating disorder had nearly fatal consequences. When I gave birth to my daughter I was so relieved when she ate just about anything offered. As time went on and she began to narrow what she would and wouldn’t eat I became concerned, but wary of becoming too involved. I was hyper aware of offering healthy foods to my children, while not becoming overly controlling. So far so good. 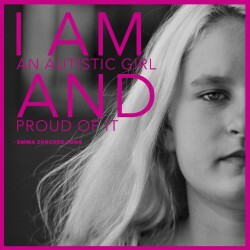 And then Emma was diagnosed with autism and in my research I read about the GF/CF diet. In the literature I read there were spectacular claims of “recovery” from autism and “losing their diagnosis.” This was in 2004. I was in the midst of my find-anything-that-will-cure-her- thinking. I don’t know if that diet is pushed on parents now the way it was then. But at the time it seemed many parents were implementing it, some with noticeable positive changes, but most were not, still, it seemed worth a try. Like everything to do with autism, there are opinions, lots of opinions, but little real evidence that a diet was having the same massive effect on all children diagnosed with autism as it was on a few. So when the diet did nothing, and despite the battery of tests showing no intolerance of any kind, in a moment of desperation I implemented an even more draconian version of this diet in 2011 as advised by a naturopath I took her to. It was this final attempt that caused long-term and far-reaching damage. It eroded her trust and it caused her a great deal of unnecessary pain and trauma. It is this time period that Emma still refers to with great anxiety today. As someone who almost died because of my eating disorder it is tough to reconcile the fact that I have caused my daughter such suffering. I bring all of this up because over the weekend, Emma said she was willing to “taste a carrot.” This was huge. HUGE, as Emma has not willingly eaten a vegetable of any kind since 2005. I have consoled myself over the years by reminding myself that there are populations throughout the world who subsist on an extremely limited diet. There are indigenous people in Northwestern Alaska who live on seal and walrus blubber and little else, but whose health is actually better than their southern neighbors. Various people over the years, particularly OT’s and speech therapists have tried to convince me to restrict Emma’s diet, but I won’t do it. Instead we discuss nutrition. We talk about food choices. I do my best to model good eating habits. We talk about vitamin supplements and I offer healthy choices. “Do you think you will try it again?” I asked. “Yes, I will taste it and thank you for your suggestion,” Emma ever so politely wrote. Emma has been on “the diet” for exactly seven weeks and two days now. Because Emma did not test intolerant for gluten, last Wednesday we introduced gluten back into her diet, but stayed the course with all the other foods she tested an intolerance for. Here is what we have seen: nothing. There has been no significant change since we began this, she has not expanded her choices of foods. I’m starting to have an increasingly difficult time explaining to myself or to Richard why we are continuing. Everything I’ve read, including her doctor tells me we should stick with it. Give it at least another month. One mother I spoke with told me I should give it at least six months! So here’s my question – Why? What could possibly happen in the next four weeks? The idea that suddenly we are going to see some significant cognitive leap seems highly unlikely. If one just looks at this practically, how is it possible that a child would show no signs of any improvement, but if we just kept on this diet, suddenly at some point in the foreseeable future the diet would kick in? Kind of like an engine roaring to life despite having been jump started countless times. The argument given as a reason to stay on the diet, goes something like this – these children have what’s called a porous intestinal wall also known as – leaky gut. The leaky gut means foods, particularly foods with gluten and casein, are not properly metabolized or digested. Some believe these foods become peptides or even opiates, which then leak into the bloodstream causing neurological problems. So the thinking goes – the leaky gut needs to heal and can only heal if the child does not continue to consume foods they cannot digest. The only children I have personally heard about who have been helped by adhering to the GFCF diet, showed significant change very quickly, usually within the first few weeks, but more often within the first few days. I have yet to hear from anyone who saw nothing, but stuck with it, then months later saw improvement. If anyone reading this knows of anyone who’s child showed nothing, but much later improved as a result of the GFCF diet, please write me. If this diet were easy to stay on, didn’t require a massive amount of time and energy, I would stay with it. But that isn’t the case. It has taken up hours and hours of time. I have made batches and batches of gluten free baked goods only to have Emma refuse all of them. We have thrown enough gluten-free, casein-free products away to feed a small village. Emma’s diet, instead of expanding has become even more restrictive as a result. She now seems to exist solely on applesauce, the occasional slice of ham and peeled Fuji apples. She will eat one particular sheep’s milk cheese that I can only buy at the Farmer’s Market in Union Square on Saturday mornings, but shuns any other. She will eat one specific brand of goat’s milk yogurt from Whole Foods, but will eat no other. Because she cannot have many fruits and vegetables, only green, orange or yellow skinned are allowed on this diet, she now will only eat peeled Fuji apples, very occasionally I’ve been able to get her to eat a piece of honeydew. She loved green grapes, but one week Whole Foods had a batch that tasted differently and now she refuses to eat them, even though they are like the ones she used to like. 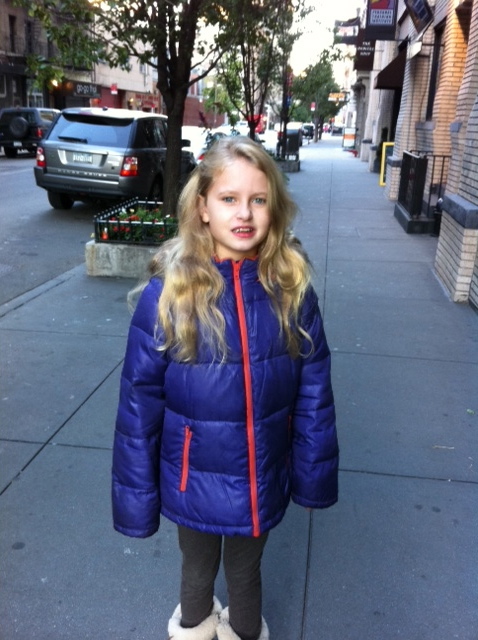 When we put Emma on this diet the first time, when she was only two-years old, we saw the same thing happen. Previously she was still eating scrambled eggs, hot dogs, pizza, grilled cheese sandwiches, pasta with pesto sauce, raisins, a wide variety of nuts, bananas, the list went on. And while, at the time, I saw her diet as limited, it became much more so on the diet. When we reintroduced foods after three plus months on it, she didn’t go back to many of those favored foods. As the years continued, Emma has limited her foods to some half dozen. She seems impervious to sensations of hunger or fullness. If I find ten containers of the goat’s milk yogurt that she likes, she will eat all ten if allowed. The next day, upon seeing there is no more goat’s milk yogurt left (or whatever it is that she’s eaten all of) she appears unconcerned. She simply doesn’t eat. There is a complete lack of drama one way or the other. If it’s there she’ll eat it and if it’s not, she just doesn’t eat. On a side note, a friend of mine asked, “What’s next?” That will be the topic of tomorrow’s post. I am taking Emma to the naturopath/physician this Friday and will report back.